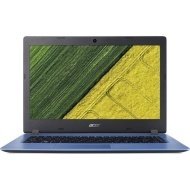 alaTest has collected and analyzed 14 reviews of ACER Aspire 1 A114-31. The average rating for this product is 4.1/5, compared to an average rating of 4.1/5 for other products in the same category for all reviews. Comments about the price and design are generally positive. The performance and usability also get good comments, whereas many are critical about the battery and durability. We analyzed user and expert ratings, product age and more factors. Compared to other products in the same category the ACER Aspire 1 A114-31 is awarded an overall alaScore™ of 87/100 = Very good quality. Not enough built in memory, should be sold with enough memory for Microsoft office and to still be able to update the system, very disappointed with that ! The battery life doesn't last for long. Love the random photos on screensaver Its quick and easy. For the money, it's a very good choice. Good for some low usage tasks. Not a gaming laptop. Occasionally stutters when I've opened a few tabs on chrome and have ran some other apps. Attractive design and easy to set up and use. Quick processing and a lot of apps to choose from. The mousepad takes a little getting used to and it has very little memory therefore using the one drive is essential! Good clear screen , lightweight.